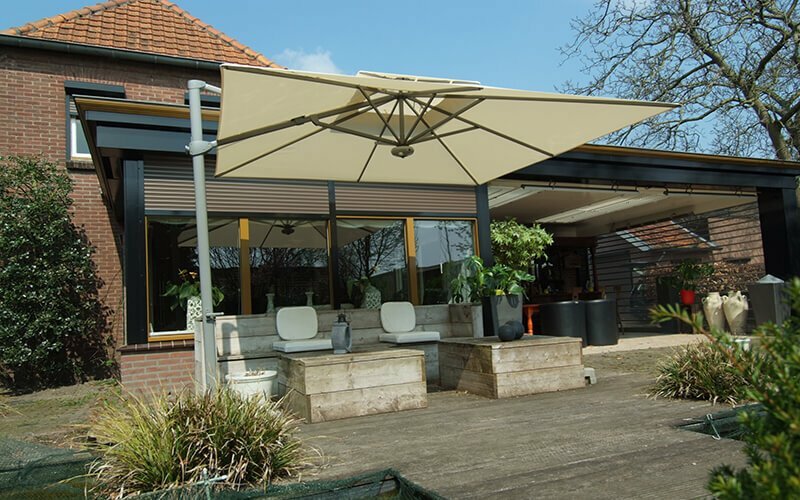 The Laterna is the latest cantilever parasol in the Solero product range. 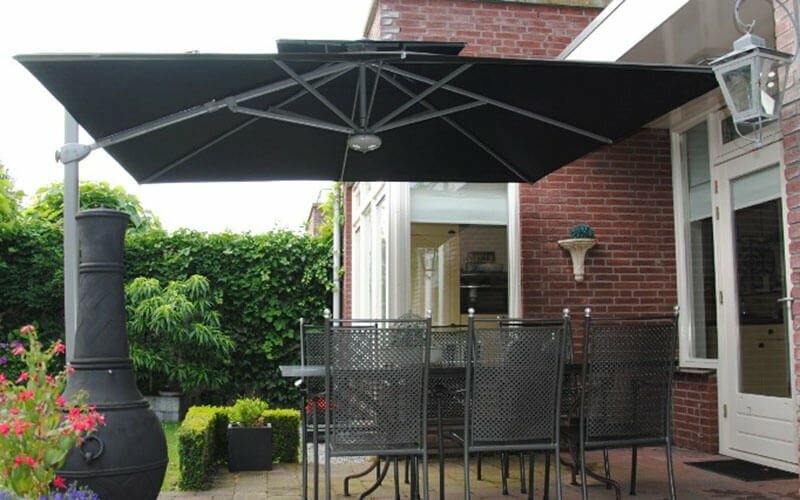 This big, free arm parasol (300cm*300cm) is sleekly designed and comes with a 300 gram fade resistant and hydrophobic fabric. 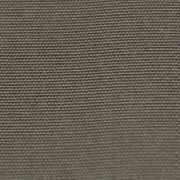 The cloth is entirely recyclable and has a UPF value of 50+, making sure the environment will enjoy it as much as you do! 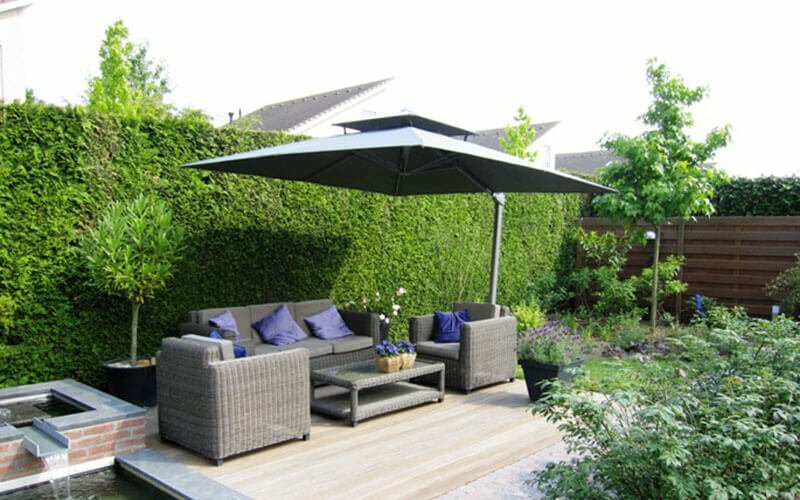 This luxurious cantilever parasol offers the best ease of use your garden can enjoy. Its intuitive joystick allows you to easily open, collapse or tilt the parasol. It’s even possible to rotate it 360 degrees. The Laterna is delivered with a silver frame and comes with complimentary protective cover. You’ll also receive wireless, rechargeable free lighting! Please read more information about this extra parasol lighting in our lighting category. Lounging, reading and relaxing on your terrace? Or enjoying those nice summer days with friends and family? The Laterna will bring your holiday to your own garden. As we strictly use only high-end materials, we know you’ll enjoy your parasol for years to come! Some days are just too hot. When that happens, the cloth will release the hot air instead of retaining it. This also adds to its stability. 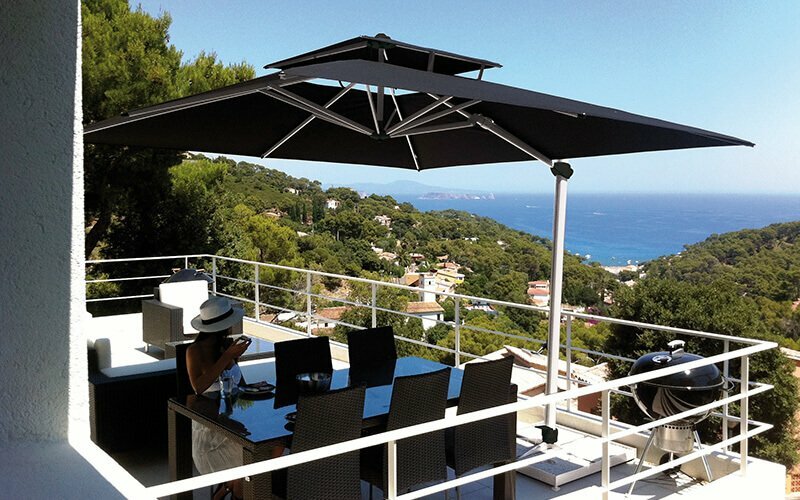 The Solero Laterna parasol offers two options – a slab base or a ground anchor. Please view the images next to this text. Want to find out more? Read about the opportunities in the information bar on the right or contact us! 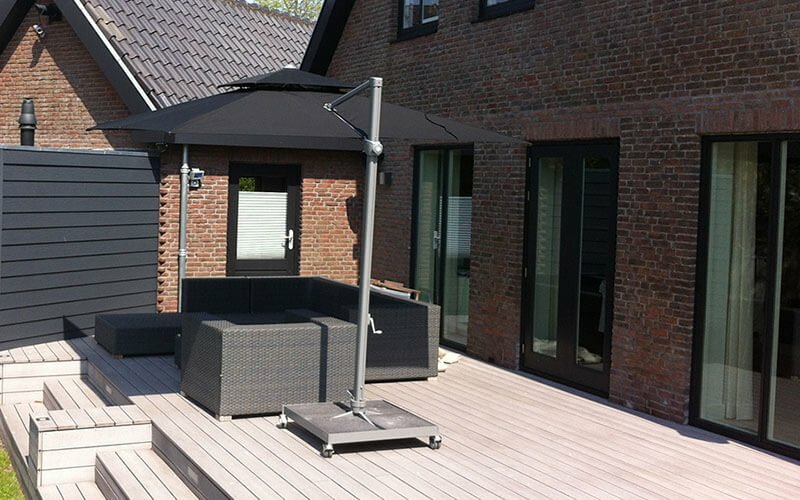 The Laterna parasol comes with a cloth of 300*300 cm. (square) or 350 cm. (round). 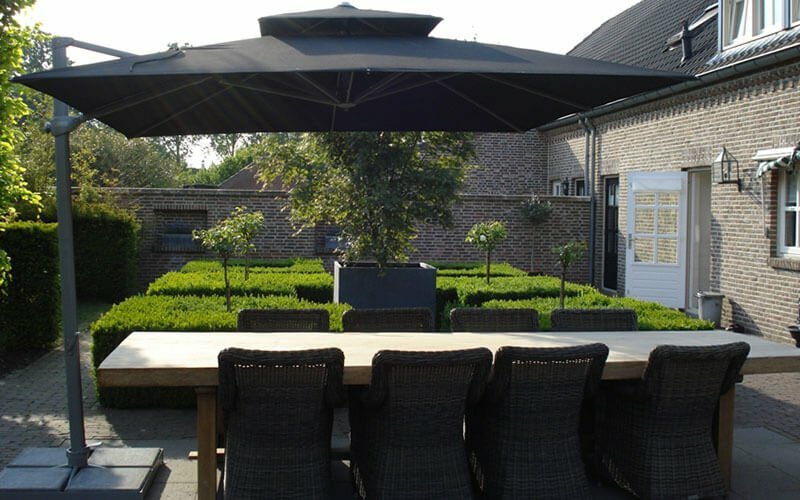 Are you looking for a smaller or larger cantilever parasol? 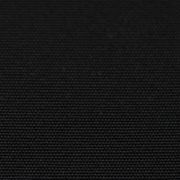 Check out our Cielo (260*260 cm.) 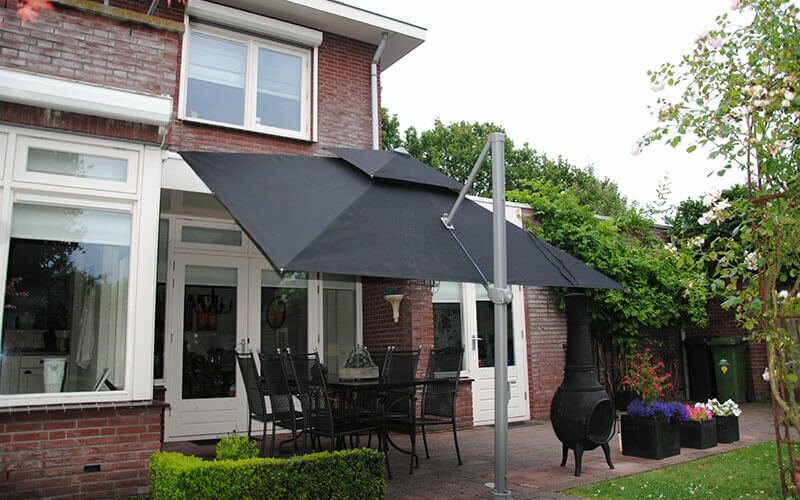 or our Palestro parasol (400*400cm.). 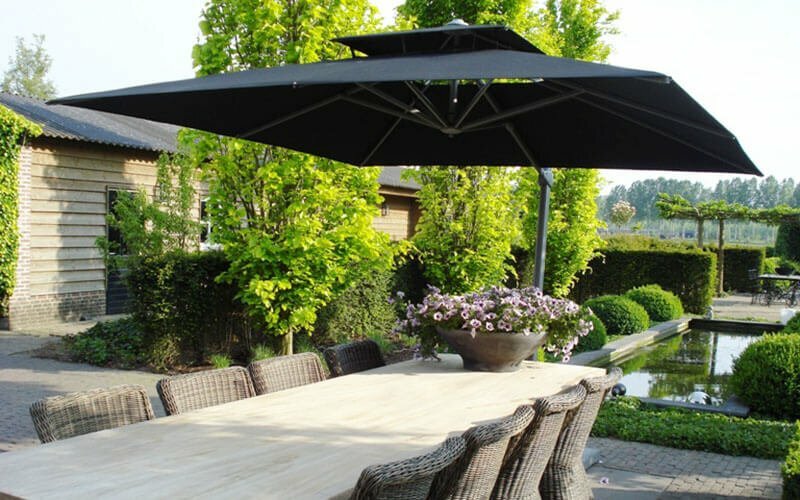 The quality and durability of a parasol are largely determined by the quality of the cloth. The fade resistance of a cloth (by UV-radiation) depends on the way in which the yarn is dyed. 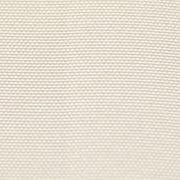 In contrast to most polyester fabrics on the market, Solero cloths have been colored on a thread level before being woven. Think of the difference between a radish or carrot. Cut a carrot in half and you’ll see the same orange color all the way through. 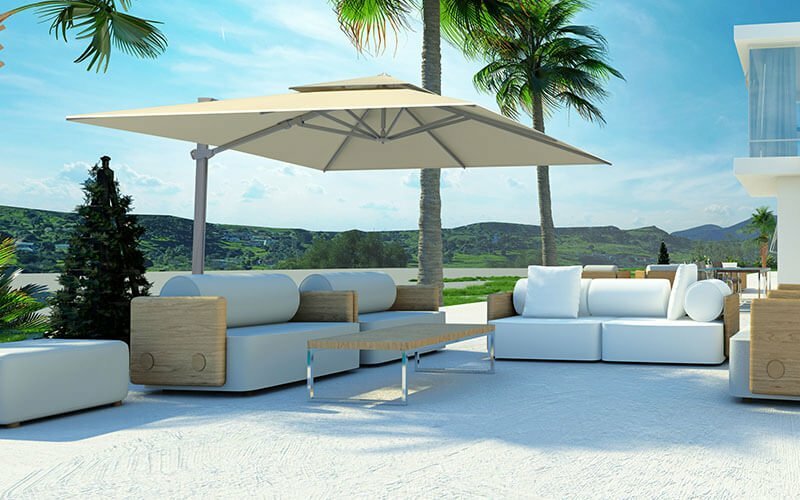 Our parasols are delivered with a label that guarantees a color guarantee for 4 years. 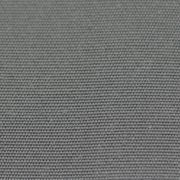 Learn more about our fabrics on this page. The Laterna cloth can be tilted to the mast. Do you also want to tilt the canvas sideways? In that case the Solero Fratello might be a good option for you. The valance is the fabric strip at the bottom of the front of a sunscreen or parasol, often styled in the same pattern as the sunscreen. The word valance is historically associated with bed skirts, which could chill the undersides of beds. 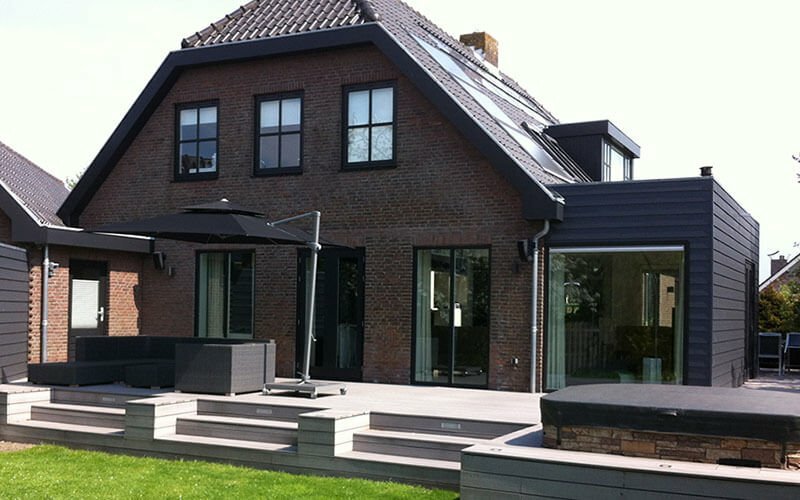 The Laterna cantilever parasol will be delivered without valance. The Laterna parasol comes with a solid aluminium rotating device with foot pedal, which allows you to rotate the canopy in 360°. 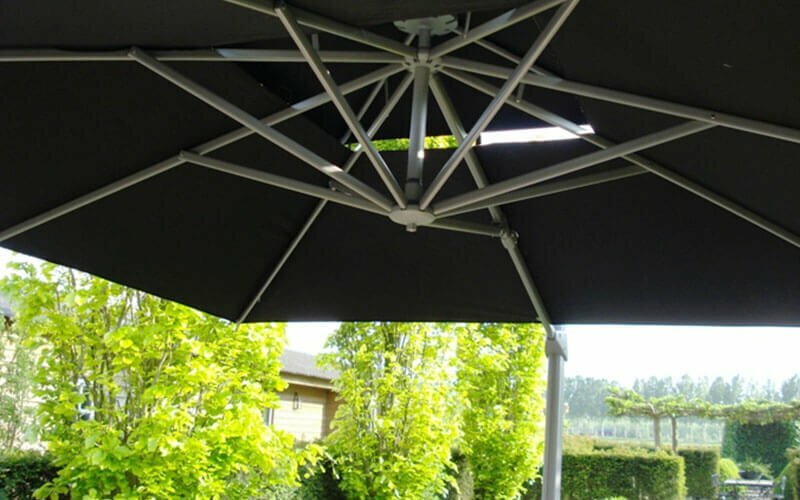 The ribs of the Solero Laterna parasols are equipped with adjustable rib ends, ensuring the cloth to be kept tight. The Laterna parasol is easy to open and close by the cranking system, without having to use force. You will receive a complementary beige protective cover with your Laterna parasol. Upon your order of the Laterna parasol, you’ll receive a rechargeable and wireless lighting complimentary to your delivery. Do you want to spend some more time outside after a great dinner or to finish that book you’re reading? Our parasol lighting will make for a great addition to your set.